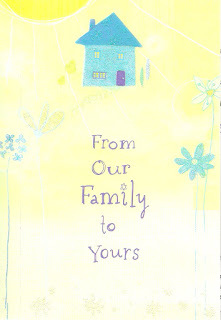 Cranky Complaints-Lady... gets a Pesach card! Is this the ultimate in B I T C H Y or what? My sweet, sweet sister-in-law, who is always super-nice, and had so many compassionate things to say about the loss of my father when we met up with her at Holiday Inn last night (she was passing through Toronto after her son's graduation from police school), gave us a whole bunch of cookies (ok, she didn't realize we had to eat them by next Wednesday!) and a Hallmark card for Passover. 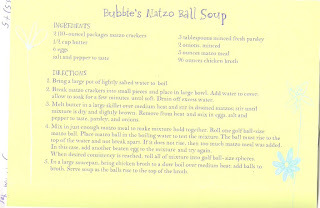 As Elisheva said, you could, of course, always use margarine instead of butter in your chicken soup matzo balls. But that's not the point; the point is they printed it that way on the bloody card. Now, this has been a thing with my mother for a while, that newspapers and magazines will print "Jewish" recipes or menus for holidays or whatever that will feature butter in a chicken dish, or a dairy dessert following a meat meal. Fine. It bugs me, but newspapers especially run on deadlines and probably don't have people checking things over super-well. But a card company??? Somehow it seems worse to see it memorialized on a card. Am I crazy like her now? Or just within the range of normal - for a cranky complaints-lady? Here's the email I sent Hallmark, just because you asked so nicely to see it!!! I received a "Tree of Life" Passover greeting card as a thoughtful gesture from a non-Jewish family member and was initially delighted with the format - appealing Jewish-themed graphics and a tear-off recipe card. However, I was appalled and offended on closer reading when I noticed that there was a non-kosher recipe printed inside the card. you that if a recipe contains both butter and chicken soup, it can't possibly be kosher. Any authentic Bubbie would know that for sure. authenticity, I'd strongly suggest having recipes and other details of the cards checked and proofread by someone with even a little knowledge of Judaism and Jewish traditions. Your response would be most appreciated. P.S. I just want to make it clear that NONE OF THIS has anything to do with my sister-in-law. I thanked her very nicely for the card, emailed to thank her for everything as soon as I got home (with pics of the visit) and did not breathe a word to anyone until later when the kids were in bed. I know gratitude is one of my things I must work on. But still, this isn't ingratitude to her for her wonderful thoughts... just annoyance at this particular card company for being MORONS. I promise. Have you Liked the MamaLand Empire? ... and join my mailing list for biweekly Jewish parenting ideas - no spam, no ads, just me! Elemental Science: Love it, hate it! Finished the (5773) Pesach Lapbook! Supper: First BBQ of the season! Which 6 plants couldn't you live without? Got so excited last night! Alright, I really AM going to do it! The Secret of the Challah! What is a Jewish camp? Brrr... Elisheva on the set of Scott Pilgrim! Have you seen this purple??? First tomato - buy, local, yay! Go Stylish With Saint Laurent Bags! You Grow Girl - Gardening for the People. Adventures in MamaLand. Picture Window theme. Powered by Blogger.